Working with teens can be a challenging and rewarding experience. In this workshop, experienced tutors/teen mentors Jake Troxell, Chris Van Nest, and Alana Johnston discuss the foundations and building blocks for establishing a successful relationship with older students. Topics include forging an initial connection, listening and questioning, and dealing constructively with challenges that may arise. Setting behavioral expectations for younger students is often challenging, especially when a student has minimal or no preschool experience. To make a young student more engaged, I do my best to incorporate two things: consistency and interests. 3 minute break – Does the student get an incentive for finishing his first assignment? Offering break times after completing assignments is crucial because students tend to be distracted after working for 10-15 minute periods. However, when implementing a break time, you need to set firm time limits. Using a phone or timer is helpful because when students hear the alarm, they understand that the break is over and that it’s time to work again. 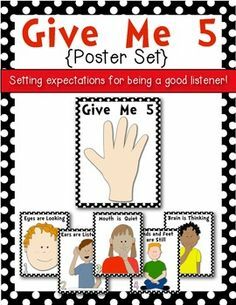 You can also promote consistency by creating an ‘expectations chart’ that lists 3-4 rules for behaving in the library. For younger students, it’s important to keep rules short and concise and include many pictures in case they have trouble reading. Here is a good example of a rules list. The second part to helping younger students become more engaged is incorporating their interests into the session. For example, if the student loves pirates, then pretend you’re on a treasure hunt when entering library. I tell my students that pirates have to be really quiet when they’re on a treasure hunt or else they will be caught and can’t get the treasure. At the end of the session if they’re showing a lot of perseverance and self-control, then you can give them a “treasure” as a reward. The treasure could be a sticker or free time or whatever else you want to use. Have fun with your sessions! Remember, consistency is key! April was full of events! April is National Volunteer Appreciation Month which gave us a chance to celebrate with all of our volunteers. Each regional coordinator held an appreciation event for their tutors. We also awarded over 50 President’s Service Awards to volunteers who contributed 100+ hours of service. We were very appreciative to be included in President Obama’s Education and Sharing Day when Jamba Juice donated over 100 smoothies to a partnering shelter. We also appreciated joining Ben & Jerry’s during Free Cone Day where we were able to raise funds for our kids. “Where you are right now does not mean you will be there forever. I was homeless and even at my lowest point my tutor pushed me in a nice way to keep up with school and focus on my future. When I got the first acceptance letter to college I felt indebted to Katie, I don’t think I could have done it without her.” – Chynna Lloyd. Chynna has received numerous acceptance letters for college and wants to study law. College will be a financial burden for Chynna; she is currently applying for scholarships, including The Catherine McAuley Scholarship at School on Wheels. She agreed to share her story with us at the urging of her tutor Katie Balderas. Chynna does not want people’s pity, but her tutor explained that by telling her story she could show what she has overcome, and with other people’s help, there is so much more she can do. Chynna was in 5th grade and her family had been homeless for a couple of years. Moving from place to place, she attended seven different schools by the time School on Wheels and her tutor Katie met her in 2009. Life and school had never been easy. Chynna was embarrassed at school because she didn’t have the same things as the other kids and was teased because her clothes were old and didn’t fit. She was angry that her family couldn’t afford new clothes, but she was more upset about the fact that she couldn’t go to slumber parties or leave the Domestic Violence Shelter to play jump rope outside with her school friends who lived nearby. The shelter looked like all the other apartment complexes except that it had gates around it. Chynna never told her friends in the neighborhood why. She was smart and got good grades but had missed a lot of school and knew she needed help catching up, especially in math. She was determined to go to college. At first, Katie and Chynna bonded over music, Michael Jackson, Alicia Keys and their love of books. With the help of her School on Wheels tutor Katie, Chynna began to focus on school instead of her homelessness. They also had a shared frustration with math; over the months and years, they worked on mastering math together! Chynna graduates in June. She has numerous college acceptances and is planning a career in law. Katie is a Policy Analyst and has a master’s degree in public health. – Doug O’Connell. Doug made a video describing his tutoring experience with School on Wheels. In the video, Doug says he is honored to be selected as a Tutor of the Month and is inspired by the success of his student, Nathan. Thank you for your dedication, Doug! – Jessica Pacheco. We ask volunteers to give a minimum of one hour of their time each week and most tutors at the Skid Row Learning Center give two to three hours at a time. Then there is Ms. Jessica! Jessica came in needing to complete a certain amount of hours for a college class. Fifteen months later, Ms. Jessica is still helping and impacting the lives of children on Skid Row. She comes in two or three hours before the students arrive to help prepare, decorate, and organize the learning center. Then on an average day of tutoring, she often works with five to ten students spanning all ages. Throughout the Learning Center, you will find many signs of Jessica’s assistance and for that we are very grateful. She has been a part of our team for so long! “I found out about School On Wheels and could not wait to join. Education is very important to me and sharing my knowledge to help others brings me such joy. I enjoy being a School On Wheels tutor because it gives me an opportunity to help kids improve upon their education. The best part about being a School On Wheels tutor is seeing a student excel in her academics”. Thank you for your dedication, Emily! Special thanks and appreciation to Patty Alfaro, Emily’s mother for taking her daughter each week to her tutoring sessions. Thank you, Patty! – Sabrina Aguilar. Sabrina has been a phenomenal tutor for School On Wheels since she started tutoring with us over a year ago. I can definitely count on her to take on a student in need, even with short notice. Sabrina’s background as a teacher definitely helps while tutoring and she does an amazing job making tutoring sessions interactive and engaging. It is a pleasure to get to work with you. Thank you for all you do! I had been looking for volunteer opportunities and when I found School on Wheels I knew it was a perfect fit. Sokari is such a fun and sweet boy, it has been amazing to witness the progress he has made in such a short time. Working with Sokari has reminded me of the excitement of learning something new. I perused a list of volunteer organizations sent by one of our state legislators and School on Wheels caught my interest. I went to the training and realized that I was an older volunteer. I wasn’t sure if I would be able to connect with a student. But then I started to think about my life experiences and how it might help. My parents divorced when I was eleven years old and for about one year we did not have a home. Were it not for the generosity of a friend we would have been on the street. After high school, I went to nursing school and received my RN. My husband was in the US Coast Guard which meant that we moved around the country, exposing me to different cultures and lifestyles. After much thought, I concluded that with all of these experiences in my life, I just might have something to offer as a School on Wheels volunteer. I was assigned to an 11 year old student, Aranza. I have been able to share some of my early experiences with her and show her that we all are able to overcome difficulties. I have had such a positive experience with School on Wheels and would encourage others to become a tutor, no matter their age. – Mark and Mellina Horner. We decided to become tutors after realizing that our work lives were taking over, and that we both wanted to have a feeling of giving back and doing something more meaningful with our after-work hours. Tutoring with School on Wheels has been a real blessing for us. It’s been a great experience to work with Isaiah and Isabel, and to see their grades improve. At the beginning of our tutoring together, we signed a “contract” that stated the goal grade for each subject and the reasons why doing well in school is important. It’s been great to see those goals achieved! They are a wonderful family and we are lucky to have the two of them as our students. – Aaron Cruz. Aaron has been tutoring with School On Wheels since the beginning of the school year. During that time, he has been fortunate enough to work with the same student, Destiny. He has shown exceptional dedication and care for Destiny as he consistently goes above and beyond for her. In regards to why Aaron began with School On Wheels: I am always looking to find ways to give back to the community. I began by donating blood to the American Red Cross. I am back in school for a degree in Business Administration and decided to use the extra time that I have to help those in need. – Cathie Alter. Cathie joined School on Wheels in September of 2015. A retiree Cathie brings a wealth of real world experience to her tutoring sessions and her students describe her as “fun”, “caring”, and “super cool”. Cathie’s kindness, passion, and consistency are felt organization-wide, and we are a better team because of her contributions. Cathie — Thank you. School on Wheels online tutoring program provides me with the opportunity to help children learn and share in the excitement of their success. I find this extremely rewarding. At first, I didn’t feel connected with the students. I missed the nonverbal communication of in-person tutoring. I could see and hear the students, but I felt something was missing. That’s no longer true. I’ve adapted and now believe online tutoring is a great way to teach children. The children not only receive academic support, but they also have an opportunity to develop their computer skills. Most homeless children would not have this opportunity without the School on Wheels online tutoring program.